The rise of talented makeup artists and beauty bloggers in the Middle East continues, as women from the region know how to appreciate the art of makeup. In particular, Saudi women have the magic touch when it comes to makeup –as we wanted to honour the best Saudi-based makeup artists in the business. 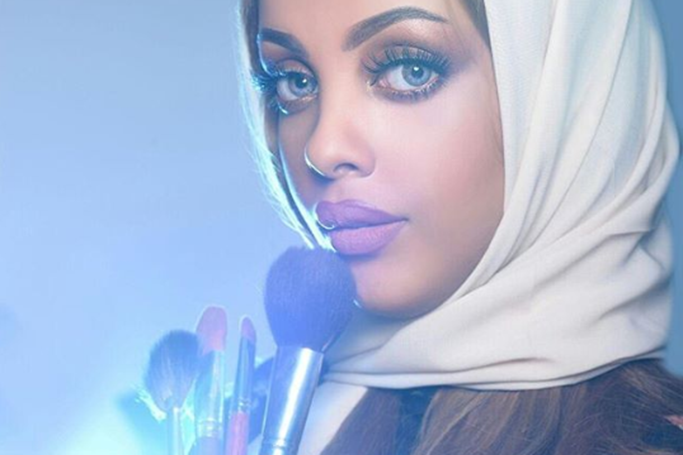 From reviewing the latest makeup launch to testing unique makeup applications, we’ve highlighted the Saudi beauty experts to know on Instagram –with their tips, techniques and inspiration to follow. Whether you want to admire some stunning bridal makeup or watch an eyeshadow makeup tutorial, these makeup professionals from Saudi Arabia aren’t just for the rich and famous, as they showcase the best of beauty and offer some glam beauty inspo for you to recreate. Jeddah native Nilo Haq started Saudi Beauty Blog. Conducts master classes across the region, started with YouTube tutorials.